Uniroyal expands its 40 series with new TH 40 low-platform trailer tyres that perfectly complement the FH 40 front axle tyres and DH 40 drive axle tyres. Hanover, October 02, 2018. Uniroyal is expanding its trailer tyre line TH 40 with new 17.5” tyres for low platform trailers in the sizes 215/75, 235/75 and 245/70. The high-quality tyres for combined regional and long-haul transport offer high durability, impressive mileage, and optimal traction even on wet roads. Car components, wind turbine parts, bridge sections, construction site equipment – loads like these are usually hauled with low-platform trailers. Moving a lot of weight, tyres for this application must be highly durable. Backed by Uniroyal’s new 17.5” TH 40 low-platform trailer tyres, transport professionals can face heavy-load transport with confidence. Specifically designed for carrying high loads, the TH 40 low-platform trailer tyres reliably deliver high performance in terms of durability, robustness and mileage. The TH 40 low-platform trailer tyres’ high wear volume helps ensure high-mileage performance, whilst the bead of the casing was reinforced to ensure increased durability and very good retreadability. A special rubber compound makes them exceptionally resistant to cutting damage and a newly developed profile design offers outstanding safety on wet roads, a characteristic that is in keeping with the tradition of the Uniroyal brand. For their wet-grip performance, Uniroyal’s TH 40 in the 17.5” sizes have been assigned EU label “B” (235/75 and 245/70) and “C” (215/75) and also bear the letters “M+S”. The tyres can easily withstand changing loads thanks to their optimised cord density and their special inner liner prevents gradual loss of pressure. Uniroyal is a European brand acquired by Continental AG in 1979. The well-established brand of Belgian origin is regarded as the inventor of the rain tyre and is successfully marketed by Continental for passenger and commercial vehicle tyres. 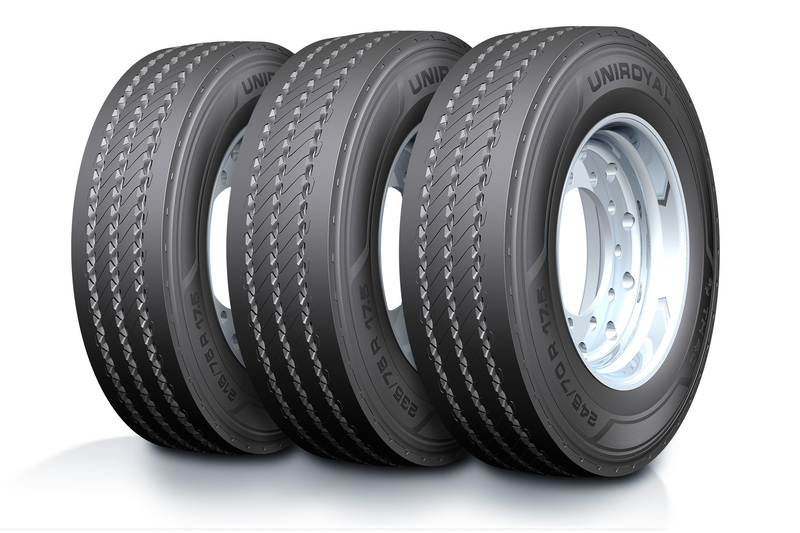 Whether for trucks or buses, Uniroyal has the right tyre for every application.